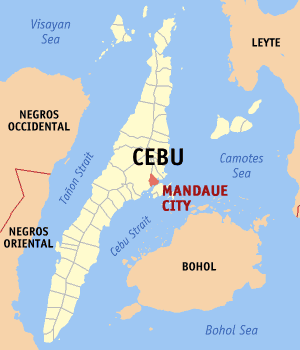 Mandaue City, Cebu will celebrate its 45th Charter Day on August 29, 2014. It was declared as special non-working holiday in Mandaue City by President Aquino under Proclamation No. 840. The Office of the President has granted the resolution of the Mandaue City Council which seeks to declare August 29 of this year a non-working holiday in the city. Proclamation No. 840, which was signed last August 4 by executive secretary Paquito Ochoa with the authority of President Benigno Simeon Aquino III, declares Friday, August 29, 2014 as a special non-working holiday in Mandaue. Under the proclamation, Ochoa said it is fitting and proper for the people of Mandaue City to be given the full opportunity to celebrate and participate in the said occasion with appropriate ceremonies. City Councilor Diosdado Suico, executive committee chairman of the 45th Mandaue City Charter Anniversary, said the City Council has approved in mass motion this year his sponsored resolution which asked President Aquino to instead declare August 29 as non-working holiday in the city considering that it is the last day of work of the month. The actual date of the anniversary is August 30, which however, falls on a Saturday. Suico added that just like last year, the city government has come up with a P5 million budget to cover the activities for this year's Charter Day celebration. Mandaue City became a city on June 21, 1969 by virtue of Republic Act 5519. But Presidential Proclamation 586 designated August 30, 1969 as the date of the formal organization of the city. Meanwhile, the cities of Mandaue and Kidapawan in Cotabato province on Wednesday signed a memorandum of understanding for a sisterhood relationship. The signing came after City Councilor Diosdado Suico earlier authored a resolution about Kidapawan City's intention to establish sisterhood ties with Mandaue. Kidapawan City Mayor Joseph Evangelista, Vice Mayor Rodolfo Gantuangco and city councilors were in Mandaue City during the regular session of the City Council on Wednesday afternoon for the signing of the MOU with Mayor Jonas Cortes and Vice Mayor Glenn Bercede. Abdul Manamparan III of the town of Nunungan, Lanao del Norte and his municipal councilors. The idea of a sisterhood came during a study tour in the city last June by members of the Vice Mayor's League of the Philippines-North Cotabato chapter led by its president Rodolfo Gantuangco. After the signing, Cortes said Kidapawan also has many best practices which the city can adopt and was hoping a series of interactions with them for the realization of both their objectives. "It is my belief that we can easily pursue our dreams by linking up by with other local government units," Cortes said. Evangelista, who openly invited Mandaue City to visit Kidapawan in the near future, said the possible areas of cooperation and collaboration for their part include public safety, economics, livelihood, manpower and tourism. "We look at Mandaue as our inspiration for having reached very far," Evangelista said. Kidapawan is the capital of Cotabato in Mindanao which hosts the tallest peak and majestic Mt. Apo and several tropical fruits like mangosteen grow in abundance. It is also a two-hour land trip from Davao City.